The definitive guide to getting the most out of our workshops! Find college application resources on this New York Times article that covers everything from how to make the most of your counselor as a guide, standardized testing, choosing the right college for you, and decision-making after you get in! 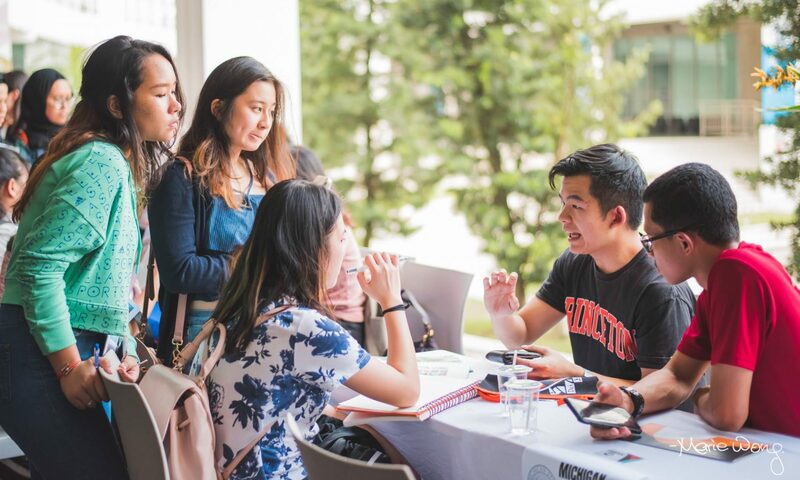 Andrew Loh writes why he chose the USA over other countries for his tertiary education. Read this for insights on the decision-making process of a fellow Malaysian! Read Charis Loke's reflections on her experience studying in the US. Guides written by former applicants. Read for tips and tricks on how to navigate the application process! Links to a variety of college rankings that you may find useful in choosing colleges to apply to. Remember that rankings are relative and nice to have but do not need to be your priority in decision-making! Need help with the SAT? Not sure if ACT is for you? Want more help with TOEFL? Check out the links listed here! Need help finding generous schools? Click here for resources to start you on your search! Looking for some information about graduate schools? Take a look at articles contributed by Malaysian graduate students and alumni. Another great resource if you have questions about studying in the US! Check out their Facebook page as well.